Despite our best efforts, sometimes implemented projects fail to function, key partnerships fall apart and community needs are not met. While these instances could be considered falling short of the goal, Engineers Without Borders USA embraces the learning opportunities derived from failure. The “Lessons from the Field” blog series highlights projects that do not live up to the original planned success. Follow our discussion about what can go wrong, the insight gained from failure and how this knowledge can help improve the sustainability of international development projects. 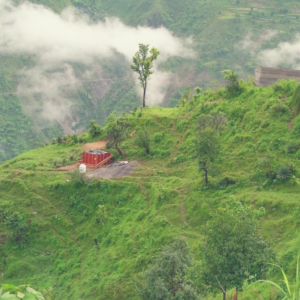 In 2009, the EWB-USA California Polytechnic State University, San Luis Obispo Chapter began a partnership with a small, rural Himalayan village in India. This partnership was not initiated in accordance with EWB-USA’s standards, whereby the community initiates contact through the project adoption process. 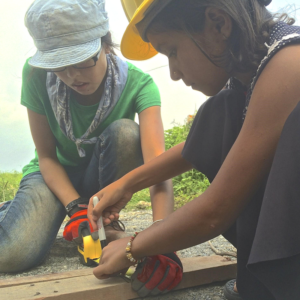 Instead, students reached out to the village through email, proposing a partnership with EWB-USA. After a relationship was established, the community expressed a desire for a clean drinking water project to address health issues. Following assessment of conditions on the ground, the team identified a connection between open defecation, failing latrine systems and the health issues the villagers were experiencing. The chapter came to the conclusion that a sanitation project would address the community’s concerns. The chapter implemented two of the four tanks designed for a gravity-fed wastewater treatment system. Throughout the duration of the project, the team came to understand that the project was not a high priority for the community at large. Rather, it was driven by the partnering local NGO, which was led by a couple who live in the community and run the local school. Ultimately, in 2017, the sanitation project was closed due to a divergence from EWB-USA’s philosophy of community involvement and ownership. Feasibility: The project scope was large given the size of the student team, site accessibility, finances, labor requirements and the cultural significance of the project. The team started with a single-family sanitation system and, following the success of that project, expanded to a community-wide system. The project proved too large given time restrictions and the lack of community investment. Communication: The EWB-USA California Polytechnic State University, San Luis Obispo Chapter lacked a key informant to provide constant and direct communication with the community. The community’s needs and interests were not clearly communicated and, as a result, all information was translated and presented from the NGO’s point of view. Time of travel: The academic breaks for students and Cal Poly faculty did not align with the preferred time of travel for the community. Summer break was during monsoon season, while winter break aligned with the local holiday season, which was a stressful time for the NGO to host students. Additionally, the community income and sustenance is dependent on tending to their agricultural fields, a time-sensitive process. Community ownership: The coordination and development of the sanitation project was primarily driven by the NGO. The community members were not invested in the success and advancement of the project because they were not evenly represented in the decision-making process. Starting a partnership: EWB-USA affiliated students reached out to the NGO prior to their application to the EWB-USA organization. While this decision did not immediately affect relations between the team and NGO, it resulted in confusion as to whether the community truly wanted to work with EWB-USA. The team learned that community investment in the project should initiate from their own desire to seek out and apply to EWB-USA. Acknowledge red flags: The pressure to succeed often caused team members to only present positive experiences from the project. Difficult conversations and red flags were brushed aside to portray an idealized version of the project to fellow chapter members. An open discussion among program teams can help foster ideas on how to address issues head-on and improve the overall success of a project. Knowledge transfer: As students cycle throughout the project, key interactions and information can be lost. By improving the documentation of the project process, more knowledge can be transferred between returning travel team members and incoming students. Frequent recaps should be incorporated into project meetings so all members are kept up-to-date, increasing transparency within the chapter. Cash contribution: After partial implementation of the system, it was apparent that the community was unable to meet the five percent monetary contribution. The NGO was only able to donate items and land and felt these should be counted towards the monetary contribution. More conversation is needed regarding how to incorporate the five percent cash contribution into programs initiated before that requirement existed, to avoid feeling like the rules of engagement are shifting for the community members. Mentor retention: During this project, the team cycled through various mentors. Mentors had different levels of field and cultural experiences and were not heavily involved with the process between travels. All teams should strive to find mentors who are able to commit to the lifespan of the project and are willing to actively participate and advise throughout the process. Multidisciplinary approach: While technical knowledge is certainly crucial to project success, it is also extremely important to possess cultural, social and political knowledge. This well-rounded approach enables teams to evaluate the project as a whole and to assess the long-term effects of the project. Working with anthropologists or other related professionals will add perspective and help advance community relations. EWB-USA thanks the EWB-USA California Polytechnic State University, San Luis Obispo Chapter for contributing to our organizational learning by sharing their valuable experience. Stay tuned in to this blog for a continued conversation on the learning opportunities derived from failure.